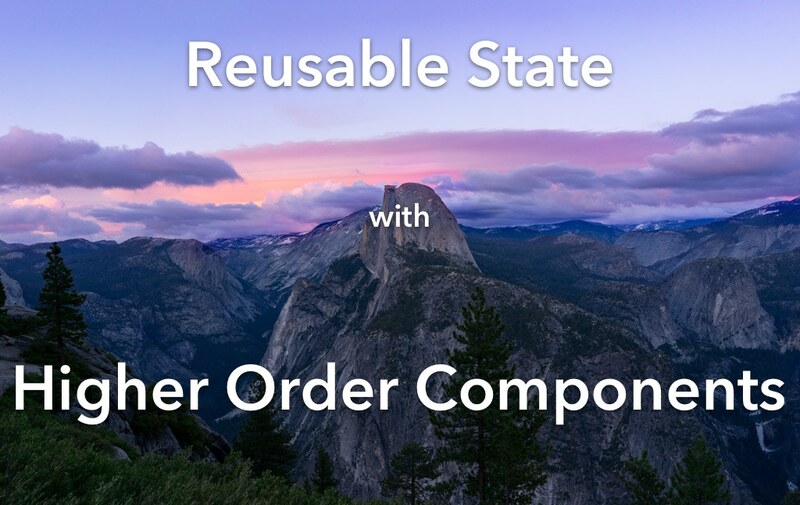 Higher-order components are a great way to do some next-level refactoring to your React code. If you have repeated state or lifecycle methods that you’d like to deduplicate, HOCs can help you extract that code into reusable functions. But they can be a little gnarly to wrap your head around at first. Functions returning functions returning components?! But first: what exactly is a “higher-order component” (or HOC)? The name comes from “higher-order function,” which is a fancy name for a function that accepts another function as an argument, and/or returns a function. You probably already use them without thinking about it. Array.forEach is a higher-order function, as is Array.map, setTimeout, and many more. Those examples are all of the “accepts a function as an argument” variety, and for me, I think those are the easiest to understand at first glance. The real mind-bending happens when functions start returning functions. So what’s a higher-order component, again? It’s a component that takes another component as an argument, and returns a new one that’s modified in some way. Now, since it takes another component as an argument, that means it must be a function, right? Right. Clear as mud? Yeah probably. Let’s look at a real example. Ignoring for a moment that this is a very simple example, there is some duplicated code here. The constructor and componentDidMount methods do the same thing in each component. There’s also the “Loading…” text that appears while the book is being fetched. Let’s see how we can extract these methods with a higher-order component. Now the book state is handled by the BookLoader HOC, and it’s passed down to the wrapped component as a prop. It also transparently handles the “Loading” state too. What we’ve effectively done is “pull up” the state into the HOC. All that’s left is to update the old components to use it. I wanted to provide a simple example of how to create and incorporate a higher-order component here, so I left out a few details to keep things focused. It’s nice to set the displayName property on the HOC so when you look at the element in the React inspector, it’s clear what it is and what it wraps. Did you notice that the HOC we wrote has a seemingly-unnecessary function nested within it? Why not just write it like this? There are a couple advantages to the extra function. Now that you’ve gotten a taste of higher-order components, can you think of any places to apply this in your own code? Give them a try! After you write a couple HOCs, you’ll start seeing patterns all over that could be refactored this way. Treat it as another tool in your abstraction toolbox to reduce duplicate code. Drop your email in the box below to get all the source code for this post, as well as a couple exercises to help you practice using HOCs.